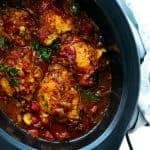 Home Recipes	Slow Cooker Chicken Stew – So Flavorful and Tender! Slow Cooker Chicken Stew – So Flavorful and Tender! This crock-pot slow cooker chicken stew is rich in flavor but only uses simple ingredients. The meat is tender and comes right off the bone so easily. It’s perfect with rice and tastes even better a day or two after as the juiciness and complimenting flavors are fully soaked-in. Heat 2 tablespoons of olive oil in a pan, then season the chicken thighs with salt/pepper. Cook the chicken thighs until browned, then remove from the heat and transfer to crock pot. Heat 1 tablespoon of olive oil in a pan and stir in the onion and garlic cloves. Cook until fragrant. Remove from the heat and transfer to crock-pot. Pour in the diced tomatoes, including juice. Add seasoning on top : kosher salt, turmeric, cumin seeds,coriander seeds, lemon zest, black peppercorns, cardamon, bay leaves and honey. Stir until well coated. Cook on medium-high heat for 4 hours, or on low for 7-8 hours. I’m always looking for new slow cooker recipes to make when the entire family comes over for Sunday dinner. This one is definitely going on the menu. This looks amazing! 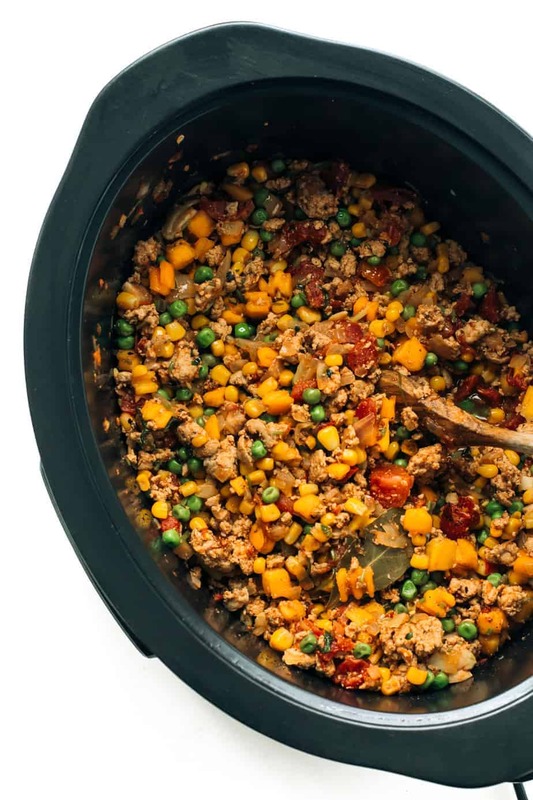 I friend of mine is a lot of slow cooker meals and I’m betting she would love to do this one. I’m totally going to be sharing this with her. Your photography is just always so amazing! 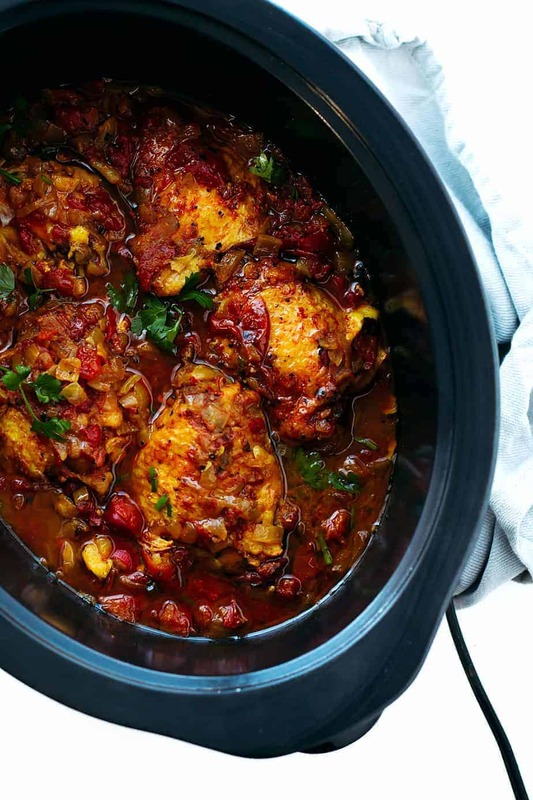 That Slow Cooker Chicken Stew looks super yummy. I love slow cooker meals and am always looking for new recipes to try. This sounds so good. I bet it is full of flavor! The photos of it are making me hungry, and I just ate lunch, haha. Slowcooking is one of my all year favorite cooking methods.This time of the year though I look for a variety of soups and stews. This looks like a great addition to our lineup! This looks so good! 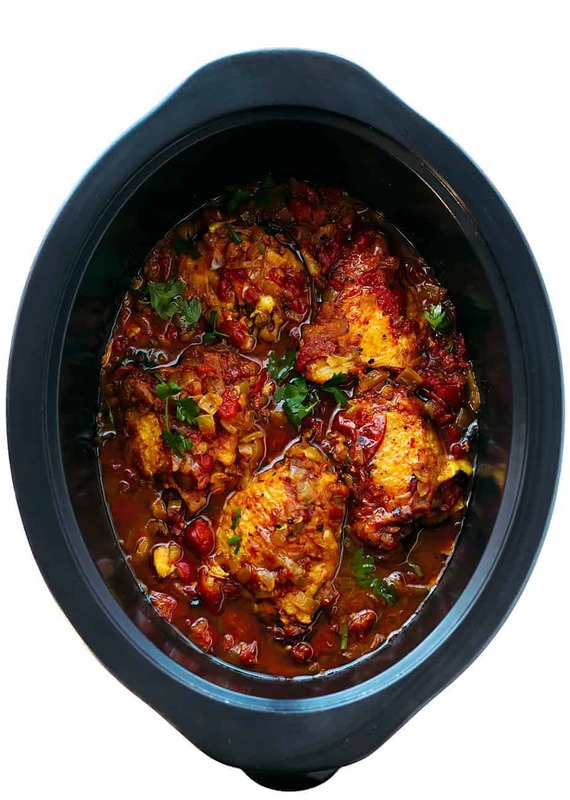 I am always looking for new ways to make chicken in the crock pot. I can’t wait to try this. Wow, this stew looks good and it definitely sounds flavorful going by the ingredients. I’d love to cook some up! I love how this slow cooker stew includes lots of real ingredients and spices. Beautiful photos, it looks delicious! I would love to make this for the family! Throw it in and forget about it for the day! And dinner is served! This is a fantastic idea to make. I know I am not a particularly stew savvy person but this seems easy enough to make and being in the crock pot? perfection. Yum. I am totally trying this recipe. We love making chicken dishes. This looks amazing!! I use my slow cooker this time of year non stop, i haven’t made stew in a while I am going to have to try this out. This chicken recipe looks and sounds so comforting. I love crock pot/slow cooker recipes for that very reason. Once the fall weather came around, we started making more dishes like these. ohhhhh can you say drool? It is definitvely time I by a slow cooker, just to make this! This looks and sounds delicious. A perfect fall meal. I try to use our slow cooker as much as i can this time of year. I love cooking meals in the slow cooker. You always have such wonderful recipes. 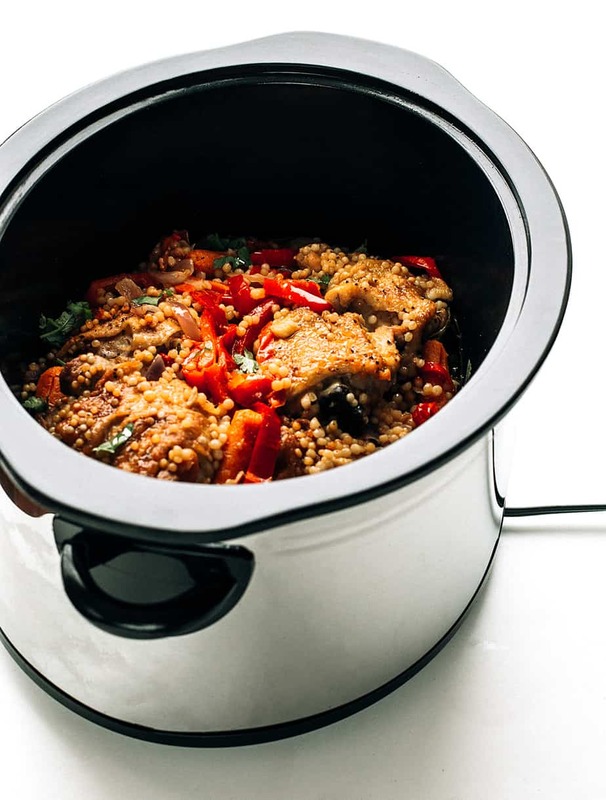 This slow cooker chicken stew recipe sounds so good. 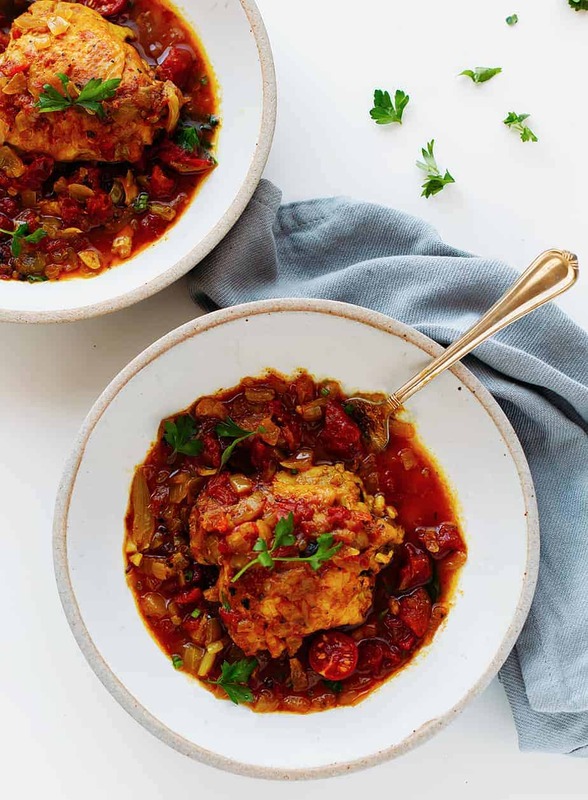 It really is the perfect time of year to have stews and I have never made a chicken stew so this would be a great recipe. I love cooking in the slow cooker which makes everything taste so much better. Thanks for sharing the recipe. It is officially crock pot season and I’m always looking for new recipes. Your slow cooker chicken stew looks really good.